BE ONE OF THE LUCKY FIVE! The new Limelight Hotel and Residences will open its doors this winter and with only five units left to purchase, now is the time to become part of this exciting project! 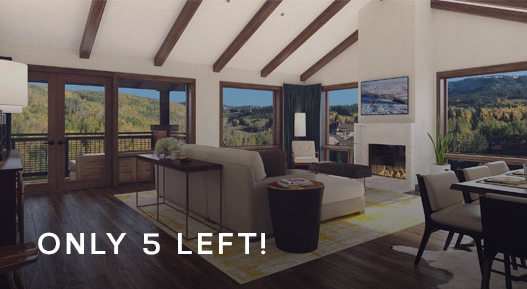 Two and three bedroom units, steps from the gondola and lifts, rental program, access to the Snowmass Mountain Club and more! Click here to view details about the property.